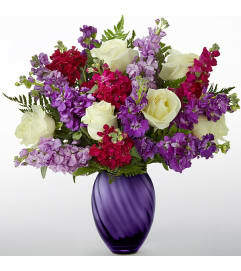 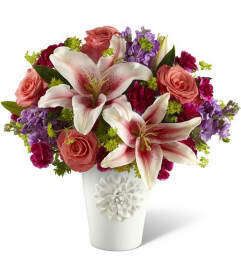 Inspired by French country gardens, this captivating flower bouquet has a Victorian styling your recipient will adore. 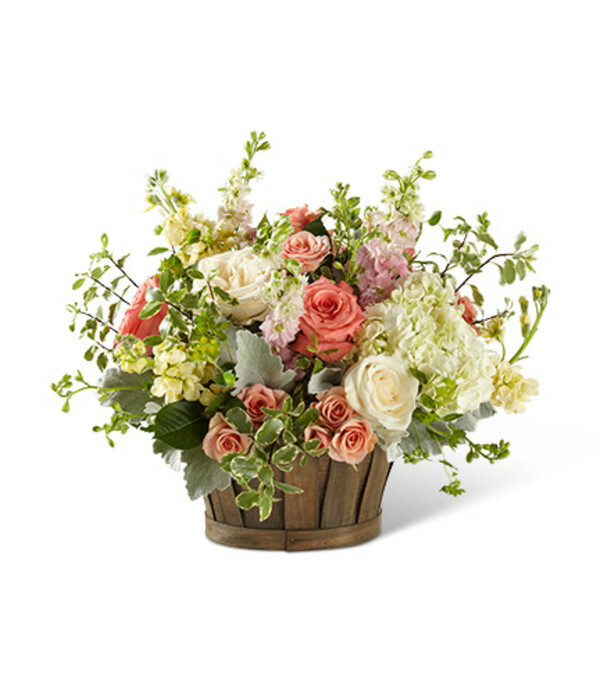 White and salmon roses made the eyes dance while surrounded by pink larkspur, cream stock flower, peach spray roses, clouds of white hydrangea, dusty miller stems, and lush greens, arranged to perfection in an oval stained woodchip basket that helps to blend soft sophistication with raw, rustic appeal. 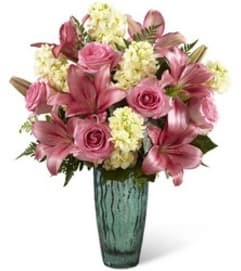 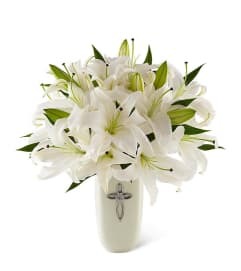 That perfect happy birthday, thinking of you, or thank you gift!